Pedey scores on Nap check swing roller to take a 1-0 lead after 1 full at Fenway. RT @RedsFan078 : where is Wrigley on that list//Definitely top five. But they've done a fantastic job updating Fenway. Not so with Wrigley. Looked like Ortiz had a GIDP, but Victorino called safe at 2B. Good start for @theRealDubi22 . A 1-2-3 top of the first with 2Ks. 14 pitches. 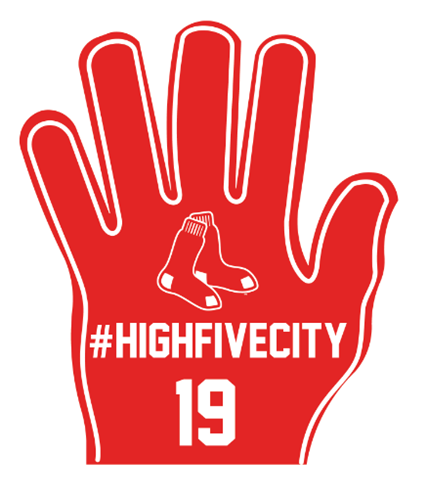 @15Lasershow @ShaneVictorino and @davidortiz will lead off. RT @RedsFan078 : @johnfayman thoughts on Fenway. Where do you rank it among parks.//If I had to pick one park to come to, this would be it. The last four hitters in the Cincinnati order (Schumaker, Cozart, Soto and Barnhart) are 25 of 134 (.187) with 1 HR and 11 RBIs. RT @JasonDRossi : @johnfayman you in beantown for the series?//If I'm tweeting, I'm at the yard. Great note via the #RedSox : Today is the anniversary of Babe Ruth’s 1st HR. Came vs. #Yankees at the Polo Grounds. Also pitched 12.1 inn. RT @sirloin03 : @johnfayman is Marty back in the saddle tonight?//Yes. That's why he was wearing spurs. Hacks with a bat? // RT @FeinsandNYDN : Weekend starters Tanaka, Sabathia and Phelps all taking BP. Long man Aceves also taking some hacks. David Ortiz playing in his 2,000th career regular season game tonight. Only 25 players have more than Ortiz's 437 career HR at 2,000th game. The media coverage of the EPL is fascinating. They pull no punches. Going on with @Toucherandrich at 8:20 to talk some #RedSox 98.5 The Sports Hub in Boston. A's go to the pen again. X on first, Gomes at the plate. 1 out, bottom 9, 2-2 game. AJ goes for surprise approach with bunt attempt leading off 9th. Would 'shock' be a better word? Looked like Reddick twisted awkwardly on that swing, his left side sort of collapsed before he came out of box. Hard to saw what happened. Moss is going to right field in place of Reddick, who was limping off the field with a trainer by his side. Barton enters at 1B. Moss going to RF, Barton at 1B, Reddick out of game. Koji with a K then gets the double play ball to end it. We go to the bottom of the 9th. Looking for #walkoffcity to get the series sweep!